Defenders of Wildlife, one of our 40 member groups, is hosting a fun and educational city-wide scavenger hunt, starting this weekend. El Lobo is taking over Tucson for two weeks from September 3rd through the 17th. Fifty pieces of original art—beautiful dark silhouettes representing the last Mexican gray wolves living in the wild—can be found on the outside of businesses and buildings throughout the city to raise awareness for these amazing animals. Join the citywide scavenger hunt and you could win a FREE 6-day, 5-night Apache Wilderness Journey (a $3,000 value). This is a once-in-a-lifetime opportunity to witness Apache culture up close and perhaps even hear or see Mexican wolves in the wild! The BioBlitz is a unique combination of taxonomic inventory, public outreach, and science education. Meaning, your help is needed to count every living thing in the park, in 24 hours. Volunteers are needed to make the event a success. Click here to see available opportunities. The National Park Service will be refining volunteer needs, so please continue to check if you don’t find a good fit for your skills. Email Saguaro National Park for more information or call 520-733-8603. Hope you can help with the Saguaro BioBlitz! September 5th – Registration ends TONIGHT! The Coalition is honored to once again be a beneficiary of this event. This race features 8-mile and 5k courses looping through a cactus forest in the foothills of the scenic Rincon Mountains at Saguaro National Park East. The 5k is full, but there are still spots available for the 8 mile run. Hurry however, registration ends TONIGHT at 9pm. Click here for more information and to register to run! Lots of prizes and awards for participants, plus a great way to experience Saguaro National Park! If you are running in the race, please stop by our table, say "hello," pick up some of our materials, and make a donation to help us match the generous gift from the Southern Arizona Roadrunners. Our supporters have been challenged to match the donation from the Southern Arizona Roadrunners. Please donate now to meet this challenge! The Coalition has adopted Oracle Road / State Route 77 from milepost 83 to 84, as part of the Adopt-A-Highway campaign. This section of the road encompasses two of the three wildlife crossings that are slated for construction in 2013. We were successful in obtaining funding to construct these three crossings and want to demonstrate our stewardship for the area with regular highway cleanups. The area has been neglected for some time, so we need lots of help with our first cleanup! Our first cleanup will be on October 1st, from 7am until we finish our one mile stretch of road, which we estimate to last no more than 2 hours. If you can help for all or any portion of the time, please let us know. We will provide breakfast foods, snacks, and water to refill your water bottles. More details to come. Your donation will go directly to ensuring that Sonoran Desert habitat planning efforts use the best science available to identify and preserve lands, to protect critical habitats and to direct development to less biologically sensitive areas. 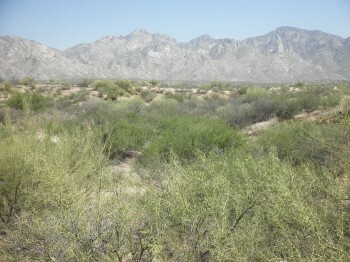 Sonoran Desert through comprehensive land-use planning, with primary emphasis on Pima County’s Sonoran Desert Conservation Plan. Unsubscribe from this list by visiting this page or simply by emailing admin@sonorandesert.org with your request.